Standard Second Class can take 6 working days to arrive. Standard First Class can take 1 - 4 working days to arrive. 1 - 3 working days and requires a signature for more security. Available Monday - Thursday and must be ordered before 2pm. Guaranteed to arrive the very next day. Available if ordered before 2pm Friday. Delivery times vary depending on zone & local laws. Order and pay for your goods online & collect from your nearest Cloudstix store. Reach out to our team whom shall be more than happy to assist. 9:30am - 5:00pm Monday to Friday. If you order before 2pm Monday - Friday you qualify for same day shipping on all in-stock items. This includes special next day deliveries which must be in our system by this time in order to safely give us the time to process and prepare for our designated collection time from the Royal Mail. 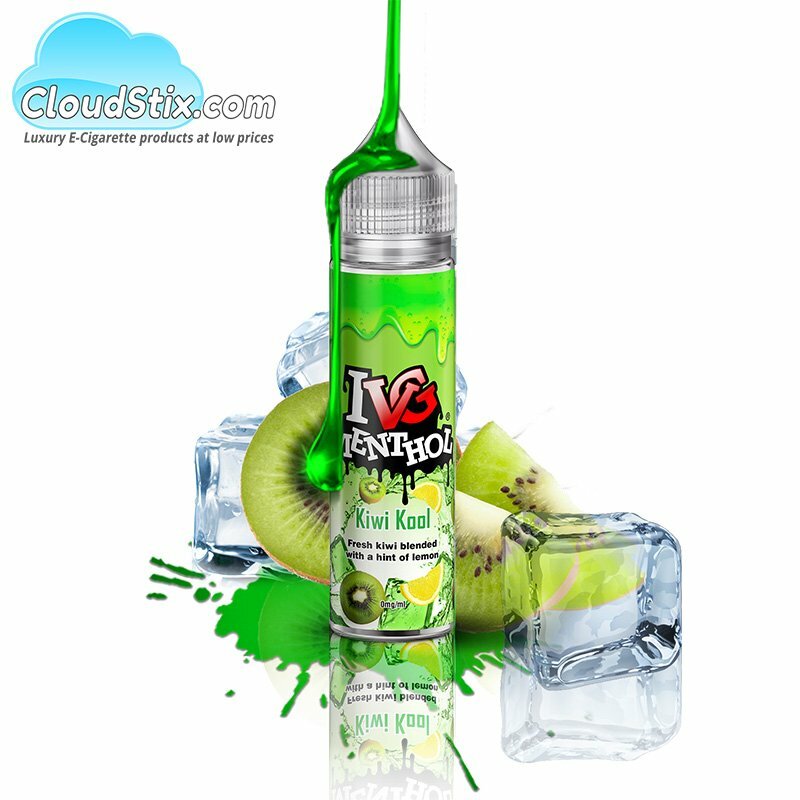 IVG are famous for their dessert flavours but they also have outstandling fruity menthols as well. Step forward Kiwi Kool which blends Kiwi, Lemon and Citrus and adds a lovely menthol coolant to create one hell of a juice. Bottle Size: 60ml containing 50ml of zero nic juice. Nic Shot: x1 FREE Nic Shot supplied with every bottle if required. Available on all orders above £15.00 Ex VAT. IVG Bubblegum Millions Bubblegum Millions from IVG is a taste sensation. Its a trip down memory l..
IVG Apple Berry Crumble Right here you have by far one of the best dessert flavours on the market..
IVG Jam Roly Poly We have stocked some jam based e-liquids in our time but nothing compares to th..
IVG Blackcurrant Millions Bubblegum Millions from IVG was supposed to be a one hit wonder but my ..
IVG Menthol Kiwi Kool IVG are famous for their dessert flavours but they also have outstandling f..
T Juice Red Astaire E Liquid The lush taste of red berries and black grape is stampeded by v..
BlackJack E liquid The sweet yet smooth flavour of the tuck shop favourite that will throw you in..